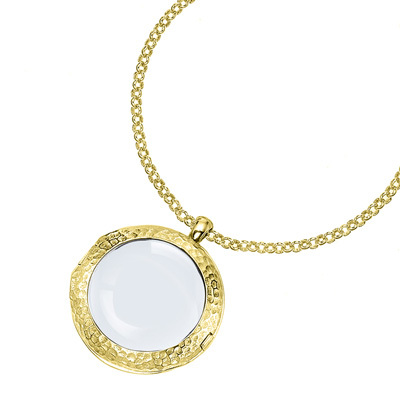 18ct Gold Vermeil Medium Cherish Locket set with sapphire glass at the front and back. Featuring a soft beaten finish, the pendant is hung on a 30 inch belcher chain finished with Dower and Hall signature quatrefoil catch.s. Lovingly designed to bring individuality to your life, use these collectables to capture your most precious memories & cherished dreams. Iconic British jewellery brand Dower & Hall are creative designers with such flair and vision, you could almost say their work is unrivalled. Each piece is designed and hand crafted in the UK to exacting standards that combine innovative style with supreme quality. Please note, we are closed Sundays, so orders placed on this day will be processed the next working day. Orders placed after 11am on a Saturday will also be processed the next working day.